BRANDON, MB – Dr. Alison Marshall, Professor in the Department of Religion at Brandon University (BU), will launch her latest book, Cultivating Connections: The Making of Chinese Prairie Canada this week as part of BU’s Faculty of Arts Speakers’ Series. This is Marshall’s second book on Chinese Canadian History. Marshall began this research as a seed project ten years ago in Brandon with funds from BU’s Vice-President, Research. The seed project grew into a major Social Sciences and Humanities Research Council (SSHRC)-funded project on Chinese prairie settlement (2008-2011), and then grew further through a Chiang Ching-kuo Foundation grant from Taiwan. A third grant from SSHRC has enabled this project’s funding to reach almost $400,000. 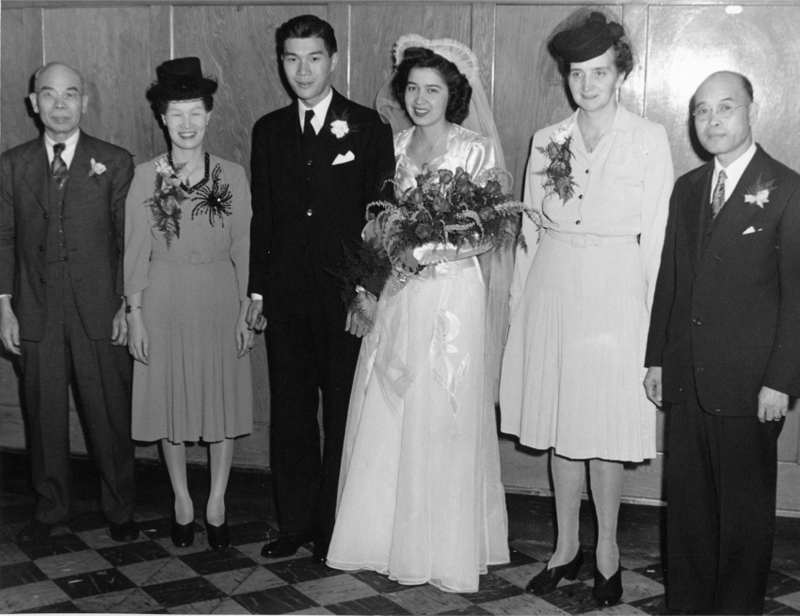 Wes and Helen Wong in their 1945 wedding photo. Wes Wong is a former Vice-President, Research at Brandon University, and was a graduate of the class of 1944. In Cultivating Connections, Marshall tells the story of Wes Wong’s mother in a chapter, and also transcribes Wong’s travel diary from 1942. 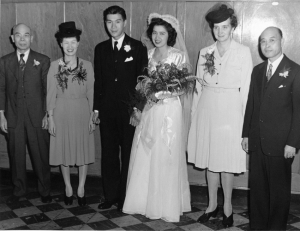 This diary richly portrays the different Chinese men who ran small businesses in Prairie Canada, and who Wong and his family reached out to during their travels. Marshall will launch Cultivating Connections: The Making of Chinese Prairie Canada at Brandon University on Friday,March 27th at 3:30 pm in the Gathering Space of the John E. Robbins Library. All are welcome to attend.